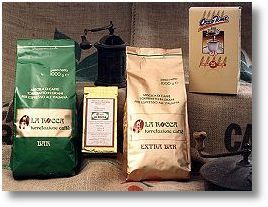 Different blends of ground and grains roasted coffee. Normal and caffeine-free ground roasted coffee, packed in small vacuum bags and pods. 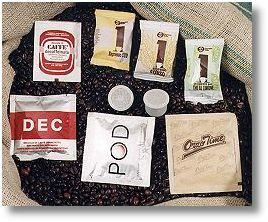 Freeze-dried coffee ranging from 1,5 gr. (single-dose) to 250 gr. weight. Ground roasted barley ranging from 6 gr. (single-dose) to 1000 gr. weight.